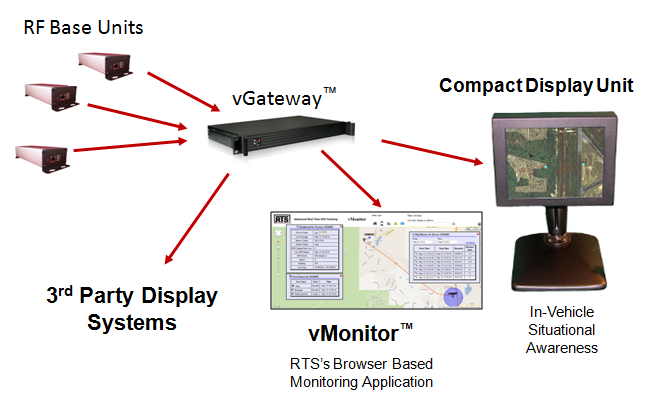 RTS has developed the high performance GPS tracking system, vTrack™ which uses unlicensed wireless communication in a private network configuration. 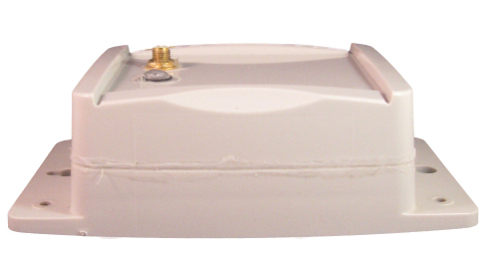 This system is ideal for campus or fixed location real time tracking, such as military bases, airports, seaports, critical infrastructure, etc. These devices include personal and vehicle tracking and are equipped with 3.0m (CEP) GPS receivers and transmit their position once per second. RTS works closely with customers to provide specific applications and optional data interfaces such as WiFi, wired Ethernet, foreign radio requirements, etc. 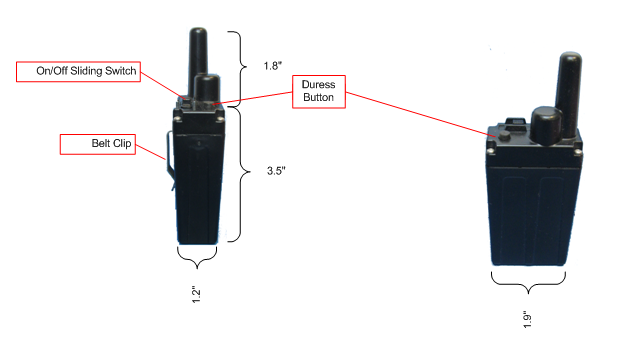 Compact (3"x2"x1") Rugged Design with belt clip for ease of use.